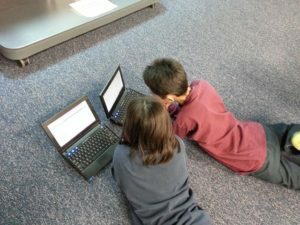 Zapzapmath is a free gamified way to teach K-8 math skills that are tied to many national standards (like Common Core). Its format is colorful and engaging, the music lively, and the space-themed layout exactly right for the age group. The over 150 games are fast-paced and interactive and cover over 180 math topics. Students direct their learning with an avatar (called a ‘mathling’) that identifies their work and keeps them engaged. Read my full review of Zapzapmath here. Zap Zap Kindergarten Math, geared for ages 3-6, is the newest member of the Zapzapmath family. It includes 160+ visually-stimulating math games that make learning fun and engaging while students develop math and thinking skills. It covers foundation skills like addition, subtraction, place value, and measurement and data, and is aligned with international math standards such as the US’s Common Core. Each game is preceded by quick audio directions and ongoing gameplay is narrated so all levels of readers can understand. Analytics track and evaluate progress. Count to 100 by ones and tens. Count forward and backward from a given number. Compare 2 numbers as greater than, less than, or equal. Solve simple addition and subtraction equations up to 20. Differentiate two objects in terms of physical attributes; i.e. size and height. Identify shapes as two-dimensional or three-dimensional. Compose larger shapes out of smaller shapes. Though just released (for iOS and Android) in July 2017, it has been piloted in over a hundred schools. Watch the introductory video on how the characters began this space journey. Play through the scaffolded games and levels. Each new game is unlocked only after the player achieves prior levels, meaning they are ready for a new higher level of math learning. The game is easy to learn and play because it uses a lot of the standard game symbols kindergarteners are accustomed to from other digital experiences. The app is ad-free with no in-app purchases. For one initial price, you get everything you need to play for hours and hours. There is no access to other online players–this is completely private. I like that play incorporates lots of kinesthetic features (like drag-and-drop and tapping the screen) to answer questions. This multisensory approach to learning differentiates for varied learning styles. WiFi is not required. The game runs just as well offline as connected. This is great for teachers who want to use Zap Zap Kindergarten Math for homework. Coming soon: voice-overs in 8 languages including French, German, Italian, Portuguese, Chinese, Spanish, Korean, Japanese, and UK English. Once students are used to the game’s worlds and their ecosystems, play becomes intuitive. The game is best played with the audio on so plan on headphones. This isn’t a game students will finish in one sitting–or ten. Expect students to be engaged for a long time as they work through the games, levels, and worlds. Let children play anytime, anywhere, as a supplement to class, homework, or independent math study. Each game starts with quick instructions so kids can figure things out without adult instruction. Have students use Zap Zap Kindergarten Math to keep their math skills sharp over long breaks–like summer. 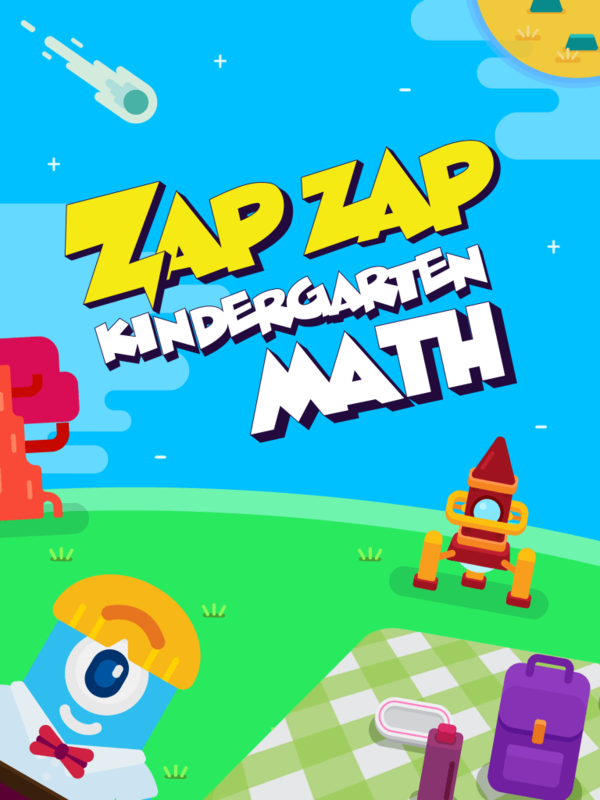 Distraction-free game-based learning makes Zap Zap Kindergarten Math a superior choice for parents and teachers.